America is getting ready to go to war with Syria, Russia, and Iran. We must stop this empire from starting another war. 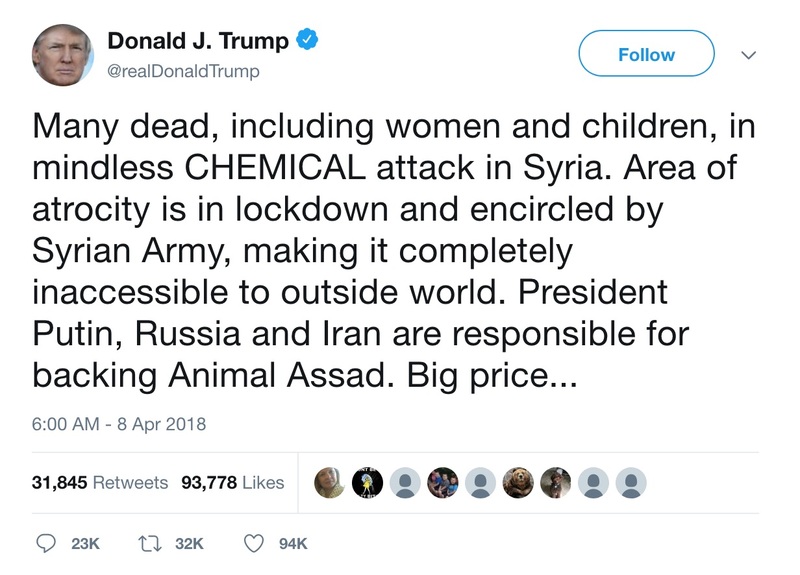 The US media has seized on the latest claims by CIA-backed groups of a poison gas attack on civilians to demand a further escalation of the US-led war for regime-change in Syria and an increased confrontation with Russia. The UN Security Council is holding an emergency meeting on security in the Middle East, in the wake of reports of an alleged chemical attack in the Syrian city of Douma. in Syria, where Israeli F-15 bomber jets have reportedly bombed a Syrian air base used by Iranian forces. There are reports that 14 people died in the strikes, including Iranian nationals. 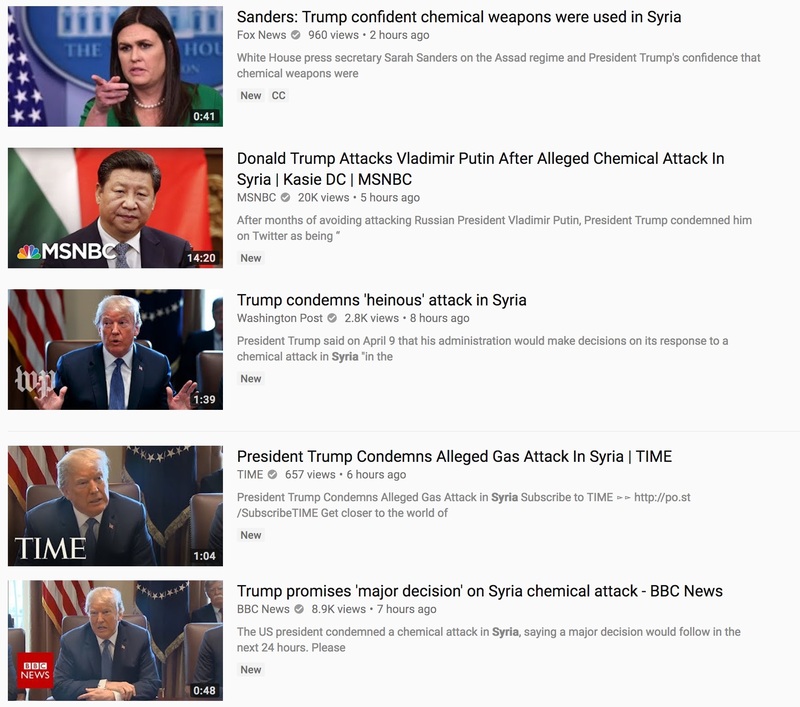 The American empire is pushing forward in its latest unrelenting war on the world, on both the left and right the media is calling for war based on unproven claims of chemical weapon attacks that are all too similar to weapons of mass destruction. World Socialist Web Site has covered today in a deep diving article that calls out the latest CIA staged attack, and warns that it will be used to justify an invasion. The Syrian government claims that one of its airbases, in Homs province, has already come under missile attack. While the Pentagon is denying that it has launched any strikes on Syria yet, the rhetoric of the Trump administration indicates that preparations are being made for stepped-up military operations. Today is the first day of the new National Security Adviser, John Bolton, and Trump is hot at the collar. The main stream media is calling for war on yet another unproven attack. It’s been 15 years since the Iraq War, since the same government lied about the presence of weapons of mass destruction and convinced its people to send their children over to die in a senseless war. Will the American people be convinced once again, will they even need to be, will they do anything to resist their government increasing its killing campaigns in the middle east. Will the Australia, British, Canadian, or New Zealander people do anything to stop their governments from doing the same, from sending their children to go kill children abroad?